​​​​​​​Paradoxically, it was not Peres’s successes – but his failures – that catapulted him to international stardom; not his impressive accomplishments, but the disastrous fiascoes in pursuit of his wildly unrealistic illusions. On Wednesday, September 28, Shimon Peres, the 9th and arguably the most high-profile President of Israel, passed away. For all the glare of the public spotlight and scrutiny to which he has been exposed, he remains in many ways, an enigmatic figure, comprised of seemingly impossible contradictions for historians to attempt to decipher. Sweeping international acclaim: Well-merited or unwarranted? Peres will be laid to rest on Friday with all the pomp and ceremony that befits the funeral of a former Head of State and public figure of international stature. The expected attendees include world leaders and renowned celebrities from dozens of countries around the globe. US President Barack Obama, and former President Bill Clinton, UN Secretary-General Ban Ki-moon, German Chancellor Angela Merkel, French President Francois Hollande, former British PM Tony Blaire, and Prince Charles are but a few names in the star-studded list of reported dignitaries, who plan to attend the ceremony. Tributes flowed in from far and wide, from Hollywood stars to the British royal family, mourning the passing of the man seen as Israel’s elder statesman. Of course, all this international attention was not unexpected. After all, during his lifetime, Peres had virtually every major international honor bestowed on him –from the Légion d'Honneur through the Congressional Gold Medal and Presidential Medal of Freedom, to the Nobel Peace Prize. dogged much of his career since the late 1970s—both in terms of his personal electoral defeats and of his policy debacles—particularly the disastrous implosion of his flagship endeavor to resolve the conflict with the Palestinian-Arabs, and the evaporation of his vision of a peaceful and prosperous “New Middle East”. As mentioned earlier, despite the fact that Peres was exposed to public scrutiny for almost seven decades, there in still much about him that remains a puzzling conundrum, comprising a tangled web of seemingly irreconcilable paradoxes. For many, his passing may well appear to be an appropriate juncture to begin addressing the intriguing challenge of unravelling the enigmatic kaleidoscope of events he traversed on his route to the pinnacle of international esteem. To be sure, Peres’s extraordinary ability, passion and energy are beyond dispute. But so, it would seem, was his unbridled ambition, making the caveats in the introductory excerpts highly relevant in evaluating the breathtaking volte face in his professed political credo. There can also be little dispute that, as President, he managed, to restore an aura of dignity to the office, so severely tarnished by the unfortunate scandals that plagued the incumbency of his predecessor. Even his fiercest critics cannot deny Peres’s huge contribution to the nation’s security, particularly in the first decade-and-a-half after independence. As a young protégé of David Ben-Gurion, Peres is credited with playing a leading role in setting up much of the foundations for the nascent nation’s military infrastructure that has been so crucial in ensuring its survival and its technological edge – including Israel Aircraft Industries (today Israel Aerospace Industries), acquisition of advanced combat aircraft from France and the establishment of the nuclear facility in Dimona. As defense minister at the time of the Entebbe raid in 1976, many identify him as providing the political will to push through the decision to carry out the now legendary operation. However, perversely, it has not been Peres’s successes – but his failures – that have catapulted him to international stardom. It was not his impressive accomplishments in the service of his nation that brought him global celebrity status, but the disastrous fiascoes in the pursuit of his wildly unrealistic illusions. Thus, it was the disastrous Oslo Accords—which have long since imploded into bloody ruin—that brought him the 1994 Nobel Peace prize. Likewise, it was his lofty vision of a “New Middle East” – with peace and prosperity stretching from the Maghreb to the Persian Gulf – that caught the imagination of so many- but now, with the descent of today’s Middle East into carnage and chaos, appears nothing but a ludicrous delusion. Accordingly, it was not his considerable contributions to Israeli security that made him such a sought after figure on the global stage, but rather his adoption of the role of supranational statesman on a noble quest for regional peace, a quest that precipitated nothing but death and devastation. Moreover, since the late 1970s, by most accepted standards, Peres would have been considered a failed politician. Yet repeated electoral defeats, even at times when victory seemed almost certain, appear to have left his stature undiminished. Indeed, Peres never won a national election and lost numerous internal elections for party leadership. Between 1977-96, he led the Labor party unsuccessfully in five general elections, losing four of them and tying in one of them (1984)’ resulting in a 2 year rotation arrangement, with Likud’s Yitzhak Shamir. The razor-edge loss of the 1996 election to Benjamin Netanyahu, which he was widely expected to win, was particularly humiliating- given the waves of public sympathy his party enjoyed following the assassination of his predecessor, Yitzhak Rabin. No less humiliating was the failure of his first bid to win the presidency in 2000, in which he was surprisingly defeated by the unimpressive and un-presidential Moshe Katsav. 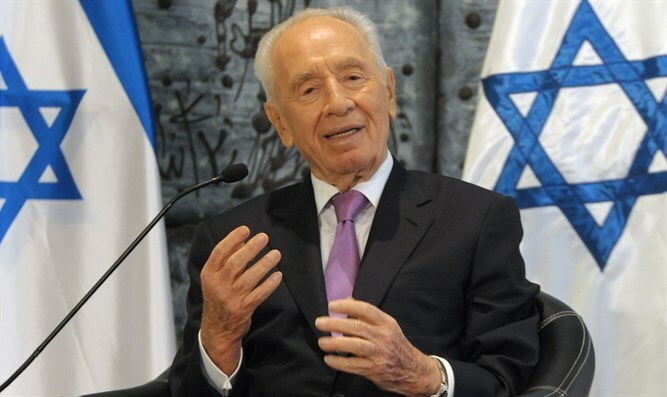 Peres was also regularly defeated in elections for the leadership of the Labor party, by Yitzhak Rabin, Ehud Barak, and even lack-luster Amir Peretz. It was shortly after his defeat by Peretz, that Peres abandoned the Labor party and joined Ariel Sharon’s newly formed Kadima faction. In 2007, Kadima, which today no longer exists, appointed Peres as its candidate for President—after considerable hesitation due to doubts as to whether he could win. This time, however, Peres won the vote, thus becoming President…on behalf of a party soon to disappear. It was from this inauspicious start the Peres managed to choreograph his presidency into an international “hit” on a global scale. Peres was always obsessed with “Tomorrow.” In many ways he appropriated it as his professional trademark, in an endeavor to brand himself as a future-oriented statesman. And while there was much to substantiate that image in his earlier hawkish era, his predictive acumen seems to have deserted him in his later dovish years. It was around then that Peres, as foreign minister, began to embrace the land-for-peace doctrine and, largely behind Prime Minister Shamir’s back, attempted to secure a deal with Jordan’s King Hussein over the fate of Judea-Samaria. Given the precarious plight of the Hashemite regime today, and the growing ascendancy of radical Islamist elements in the monarchy, it is difficult to be charitable as to the foresight such a proposal entailed. Referring to this puzzling transformation, Pfeffer observes: “Peres never explained the transformation he underwent in the wilderness of opposition”. While some may baulk at the former, the latter is entirely unpersuasive. For as we shall see, and as hawkish Peres himself warned, the most immediate threats to Israel’s security today are those of enhanced and ongoing attrition rather than cataclysmic invasion by Arab armies. Accordingly, because of the diffuse nature and close proximity of the sources of these threats to Israeli population centers, the country’s alleged nuclear capabilities are largely irrelevant in dealing with them. As mentioned previously, Peres was always enamored with the “Tomorrow” theme. One of his first forays in to “Tomorrow-territory” was a programmatic book entitled “Tomorrow is Now”, which he authored as chairman of the Labor Party, just after it had lost power to Menachem Begin’s Likud. Published in 1978, it laid out Peres’s prescriptive vision for the future conduct of the affairs of the nation. In many ways, the book – available only in Hebrew – is an astonishing document. For those who are only familiar with the post-Oslowian dovish version of Peres, it offers some staggering surprises. 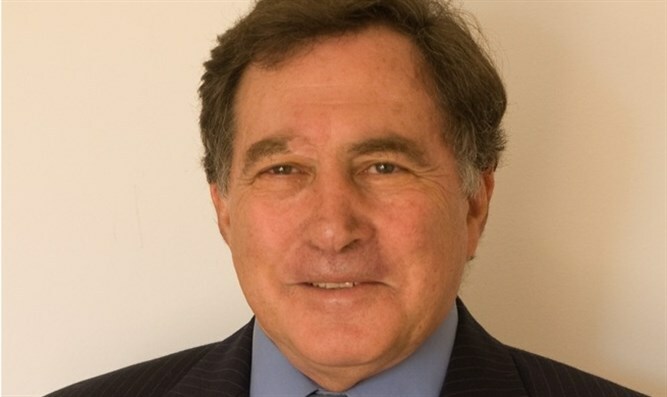 For the citizens of Israel –indeed anyone concerned with the fate of the Jewish state – it raises deeply disturbing questions regarding the judgment, credibility and integrity of those who have served in positions of senior leadership, and serious doubts as to the credence that can be placed in their pronouncements to the nation. For, in virtually every aspect, the book negates precepts underlying the rationale of the Oslo Accords—including the validity of the land-for-peace doctrine, the desirability of a Palestinian state and the value of any agreements with the Arab world – particularly concerning demilitarization. Likewise, it strongly endorsed Jewish settlements across the pre-1967 Green Line including Judea-Samaria, the Jordan Valley and the Golan. Indeed, it would not be far from the truth to say that Peres was in fact the founding father (or at least, godfather) of today’s much maligned settlement project. I have written extensively elsewhere of the incisive insights of Peres’s past prescriptions and the precision of his past predictions of the perils that would befall Israel were it to adopt the kind of policies that he later advocated. (see here and here). I pointed out how hawkish Peres forewarned of the very realities the dovish Peres endorsed, and how these were precisely the realities that precipitated the IDF’s Operation Defensive Shield in Judea-Samaria (2002) – and later operations in Gaza: Cast Lead (2008/9); Pillar of Defense (2012); Protective Edge (2014). He argued that the greater range, mobility and firepower of modern weaponry only enhance the strategic importance of territorial depth and that relinquishing Judea-Samaria would “create compulsive temptation to attack Israel...” (p.255). He cautioned against placing trust in agreements with the Arabs, since “The number of agreements which the Arabs have violated is no less than the number which they have kept” (p.255). Which Peres do we mourn? So which Peres do we mourn? The dour hawkish Peres, who got it right? Or the internationally-acclaimed dovish Peres, who got it disastrously wrong?